If you are getting too many bumps and bruises from exercising on a hard floor, you probably want to buy an extra thick yoga mat. Thick yoga mats also appeal to beginners who are concerned about easing into things. Before you go out and buy the thickest mat possible, you need to understand the importance of yoga mat thickness. 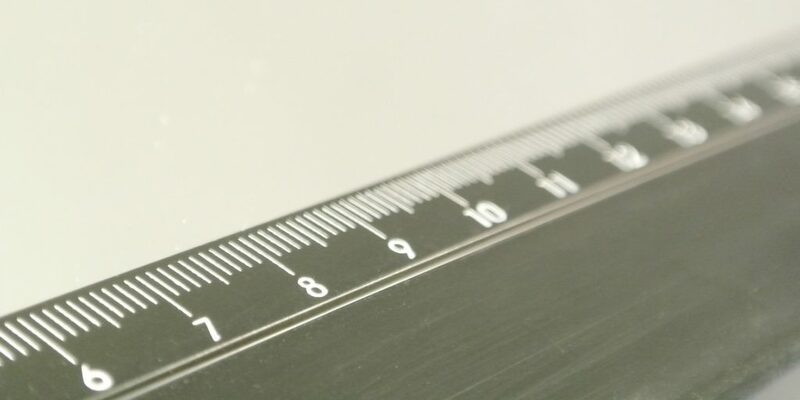 We will explain the importance of mat thickness, and then recommend a few models for your. If you want to go straight to the reviews, you can jump to the end of the article. Warning: when is a thick yoga mat too thick? 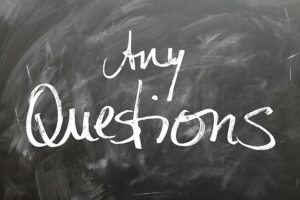 What is a standard yoga mat thickness? What is the difference between a yoga and pilates mat? Do different kinds of yoga require different kinds of mats? 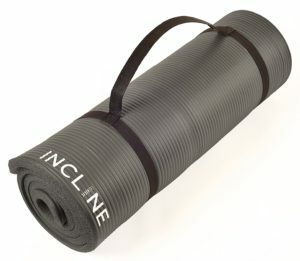 Can I use a yoga mat as a general exercise mat? Are there any other considerations for a thick yoga mat? Buying the best thick yoga mat. The first thing you should consider for yoga mat thickness is your safety. While a thick yoga mat can protect you from minor discomfort, a yoga mat that is too thick can cause more problems. 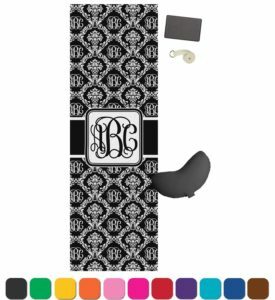 While there are a few exceptions, most people will find that an extremely thick yoga mat will cause wrist pain. When you rest your weight on an uneven surface through your hands, your wrist does not align properly. This can cause wrist issues. A thick yoga mat also reduces the stability of your poses. You will wobble more and have difficulty retaining balance, particularly for more advanced yoga poses. This is not just an inconvenience but can be dangerous if it causes you to slip. Of course a hard wood floor is the most stable base but not very comfortable. You need to find the right balance of comfort and stability. 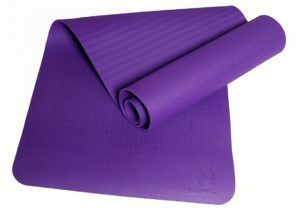 A standard yoga mat is about 1/8″ or 3mm thick. A premium or luxury yoga mat like the Manduka or Clever Yoga mats can be up to 1/4″ or 6mm thick. Lighter travel mats can be 1/16″ or 1.5mm thick. Confusion with thickness often occurs when yoga beginners buy cheap mats from Target or Walmart. They associate thickness with quality, which is true to some degree, but not exactly. Then, when they decide to upgrade their mat, people look for the thickest yoga mat and assume it must be better. Yoga requires a solid, well-balanced base and a good connection between the feet and the floor. Pilates incorporates more rolling and motion on the floor. Because of this, pilates generally uses a thicker mat, with standard sizes from 1/2″ to 5/8″ or 12mm to 16mm. 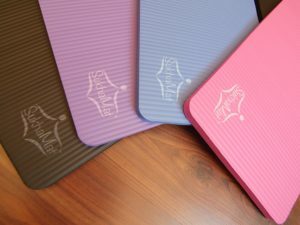 Pilates mats are more expensive because of the extra thickness, compared to a similar quality yoga mat. You could use a thinner pilates mat for yoga, or stack two yoga mats for pilates. It’s up to you, depending on what you are doing with your mat and your considerations for safety or comfort. 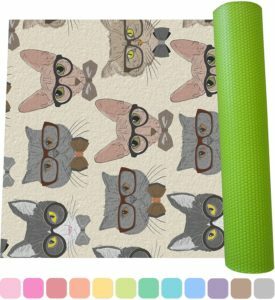 Do different types of yoga require kinds of yoga mats? Depending on the particular style of yoga you perform, you may prefer yoga mats with different thicknesses. For dynamic yoga styles like Ashtanga or Vinyasa, an extremely thick yoga mat can cause problems, as you need a solid foundation for your active moves. If you prefer a yin or restorative yoga style, a thick yoga mat is less likely to interfere with your routine. In this case, choosing comfort over stability might make sense. Some people shopping for a thick yoga mat are not actually looking to use it for yoga exclusively or at all. Maybe you want a mat for doing sit-ups, burpees, or push-ups at home. In this case, there’s nothing wrong with getting a thicker yoga mat. The same warnings about wrist pain and stability apply, but if you are doing sit-ups, a thick mat is perfectly fine. We aren’t focusing on it here, but surface grip or stickiness is the other issue you might want to consider, though, especially for active exercises like burpees, mountain climbers, or plain old jumping jacks. Any other considerations for a thick yoga mat? Realize that thick yoga mat will be harder to roll up and heavier to carry. This means it will be less convenient for traveling or taking to yoga class. If you keep the mat at home, of course this not an issue. If you have a higher body weight, you might need to extra cushioning from a thicker yoga mat. However, the same warnings about safety and stability still apply. Now that you understand when and why you would want a thick yoga mat, here are our reviews and recommendations and for which ones you should buy. If you want an extra thick mat for light yoga or just general exercise, we recommend the extra thick 1/2″ mat from Incline Fit . It’s inexpensive, eco-friendly, and durable. The foam construction is lighter and easier to carry around than rubber alternatives. We don’t recommend getting a mat this thick for more intensive yoga. For more serious yoga practitioners, we don’t recommend going above 1/4″ or 6mm. Some Premium yoga mats will be this thick and provide the quality surface grip you require for yoga, but they can cost nearly $100. 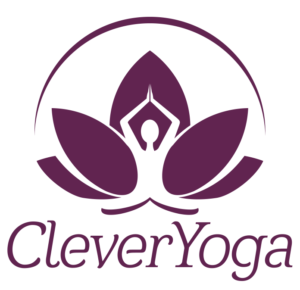 The Clever Yoga Better Grip Mat is an affordable, high quality yoga mat that is 6mm thick for extra cushioning. Is made from TPE, which is lighter and less expensive than the natural rubber used in premium mats, but it still performs well and has an excellent grip even under sweaty conditions. You can read our review here. 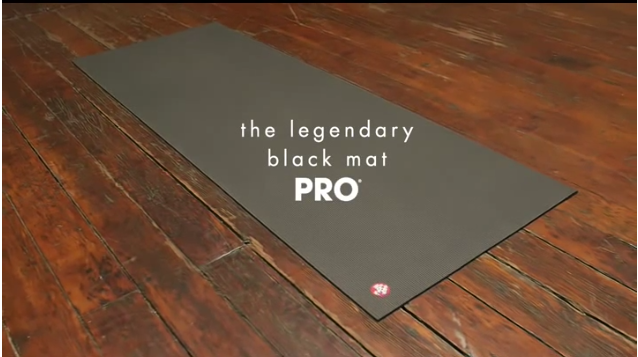 If you want the thickest serious yoga mat, we recommend the Manduka PRO Yoga Mat . The Manduka mat is a classic that many yogi swear by. 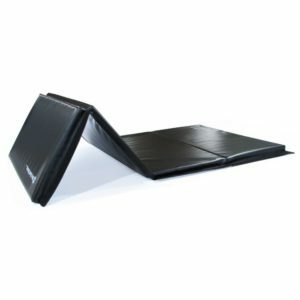 Formerly known as the BlackMat, it is now available in alternative colors as well. 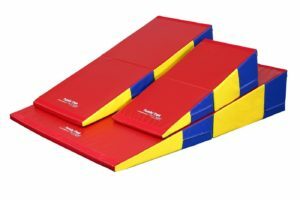 The performance is top-notch, and these mats last for years without needing replacement. This mat is the Xerox of copy machines, the Kleenex of tissues, the Coca-Cola of soft drinks. You can read our review here. While we also recommend the Clever Yoga LiquidBalance as our personal favorite, it is only 4.5mm thick and not ideal for those looking for extra thick cushioning. Thanks for the great writeup. I personally prefer a thicker 6mm mat because my knees hurt otherwise.